« If I Could Have New Features In SSAS Multidimensional, What Would They Be? What would really be useful is this: Tell Power Query to EVALUATE based on desired source syntax, whether it be Excel, PowerPivot (DAX) or SQL. It would work like automation, but only get the appropriate “formula” engine. Something like Expression.Evaluate(FormulaEvaluator.PowerPivotAddin(“MyDAXFormula”)). Yes, and similarly it would be useful to have an Excel function that was able to call a DAX query or function, so you could land the output in a single cell in the worksheet. Chris, can you explain how to use Sections from chapter 11 language specs? I’ve tried everything – does not work. 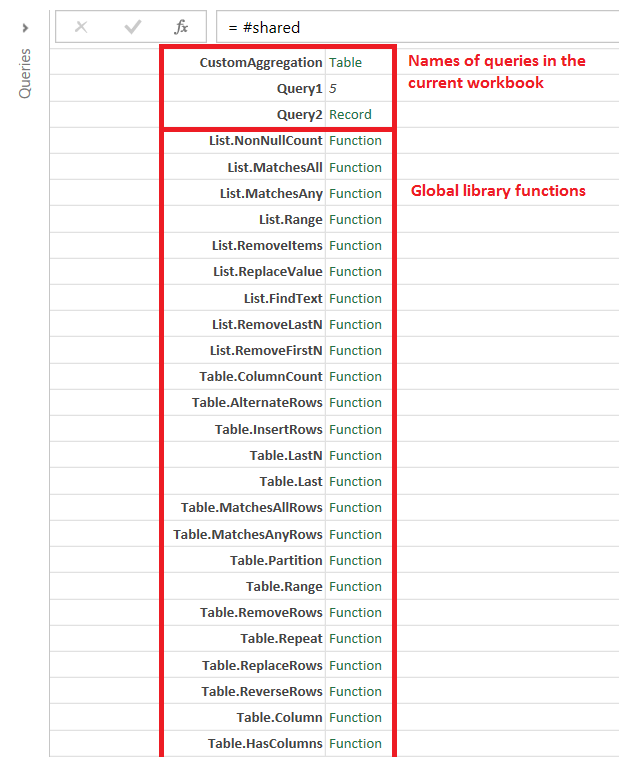 You can’t use Sections in Power Query. It’s a feature of the language that isn’t exposed, although I think Sections is used somewhere behind the scenes. It would be quite interesting if you could reference the outter environment to the one in which Expression.Evaluate is called from. Because can reference the global environment via #shared/#sections , the current one, but not the one just above. Say if Expression.Evaluate was called within a function and have access to the environment only of the function invocation.